We’re getting into road trip season with Spring Break here and summer around the corner. A huge expense for traveling families is food. And I think a lot of families don’t head out on family outings because of cost. Packing your own food and treating restaurants like a fun treat is the way to go. .
I’ve said this so many times but it’s true- getting out of debt wasn’t about what we DID do, it was about what we DID NOT do. HOT DEAL! Right now Amazon is offering a free 6-month Amazon Prime membership to college students who are enrolled in at least one class (and have a .edu email address). You get full access with FREE 2-day shipping on you orders from Amazon, plus access to Amazon Prime Video and the Kindle Lending Library. After the trial, students can choose to cancel the membership or continue with Prime membership at a 50% discount! 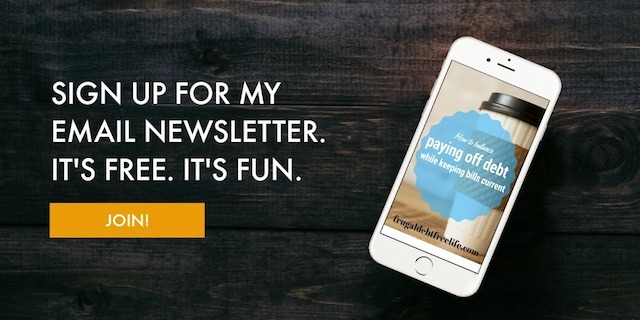 I know that this entire process can seem completely overwhelming, especially if you are following a lot of debt-free community accounts who are paying off huge amounts of money — and you don't have huge amounts of money. It can be discouraging. If you're bringing home a steady paycheck, but you're finding yourself with more month than money, it's easy to ask: Where is my money going? Let's look at some places where your budget might be leaking. SO let's unpack this together and not only look at the bigger picture but take control of it. Have you ever been shopping, mainly online shopping where the temptation is high, and before you know it you have hit that purchase button? And then the package arrives and you ask what you were thinking? Yup.